The name Compander describes a multi-shaft turbomachine, incorporating both compressor and expander stages. The energy generated during the expansion process is returned to the system to improve efficiency. Cryostar built the first compander in 1996. 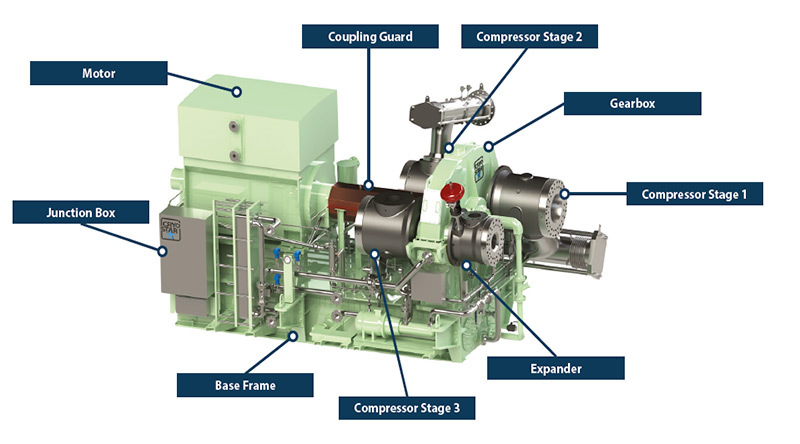 A typical compander is electric motor driven and consists of three compression stages and one expansion stage, mounted on a common gearbox and frame to produce the cold power required for liquefaction processes. System efficiency is achieved by the use of high-performance turbine wheel designs and further enhanced by the use of (water or air) inter- and aftercoolers. 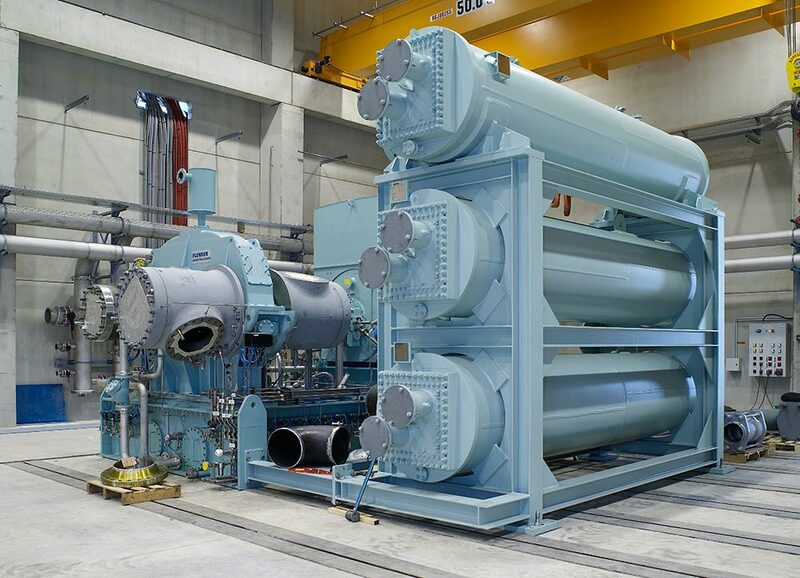 Companders using nitrogen as a process medium are often used in Brayton Cycle natural gas liquefaction plants. In case of water coolers, the inter- and aftercoolers may be rack-mounted as per picture above. Companders are supplied skid-mounted and packaged to include drive motors, seal gas systems, lube systems and necessary instrumentation.